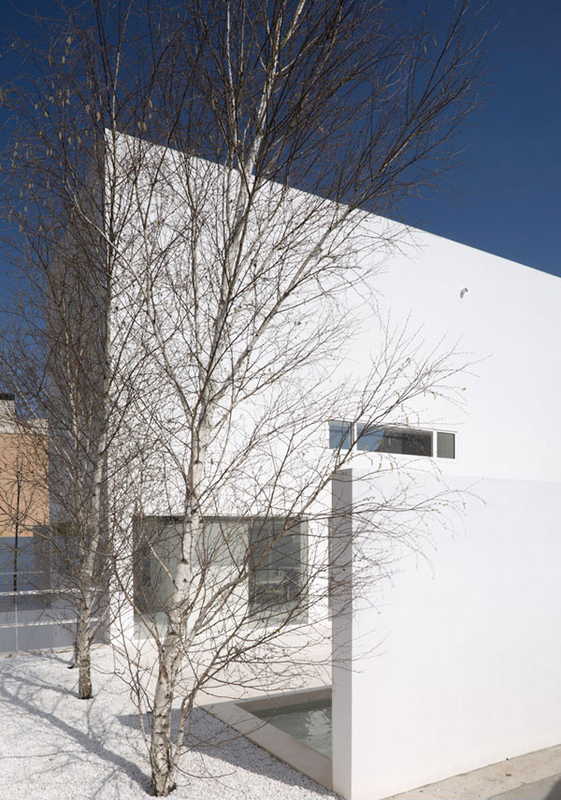 Adopted from the pristine shape of an alabaster box, this house features all the clean lines and a contemporary design. As you can see this house is compared to a blank canvas that is ready to brush with the paint. However, its design is simple and has a silhouette shape. But it is proud of its pale monotone paint that makes it stands out from the others. 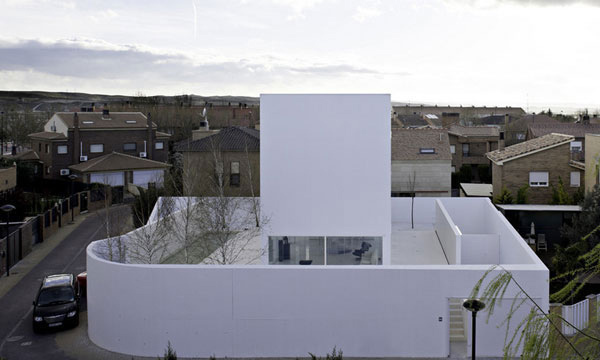 This minimalist house is situated in Zaragoza Spain which also called as the Moliner House. It has two focal points in the building. The library in this house is considered to have a highest point. 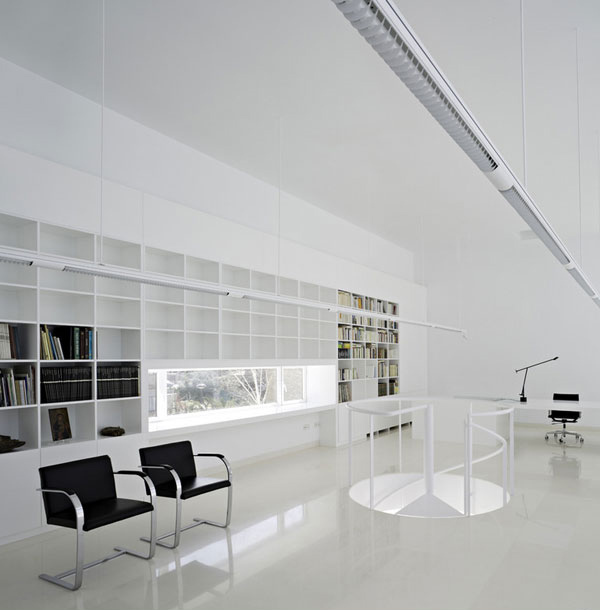 It has a high wall light propagates through a large translucent glass. On the other hand, there is a bedroom that seems to be located in the cave because it considered being the lowest point. 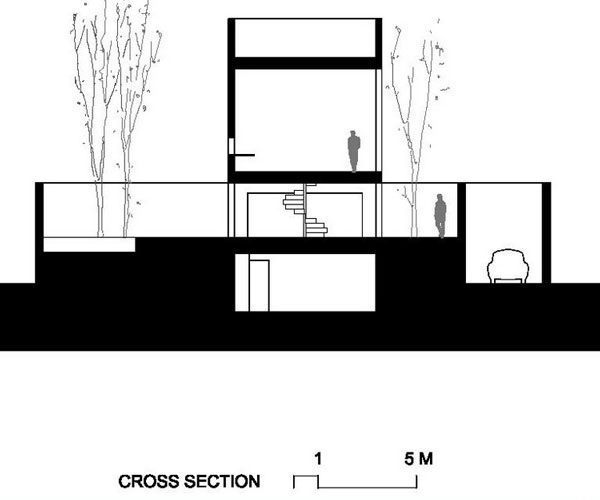 Besides it has a garden space with a large translucent wall that connects the inside and the outside room. It has a park outside which covered by a concrete wall. 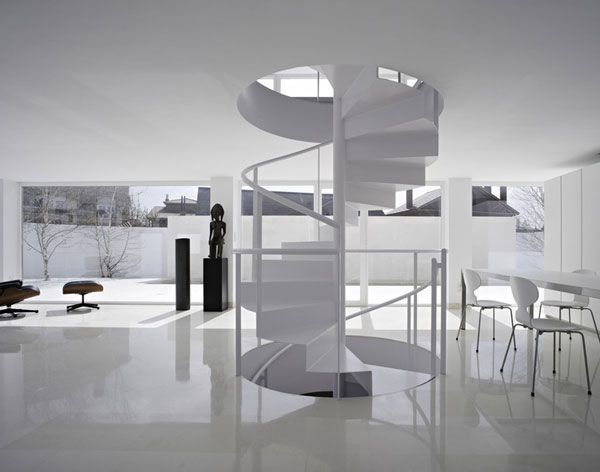 According to the designer, this house is inspired and intended for the poet. They build this house for dreaming, living and dying. 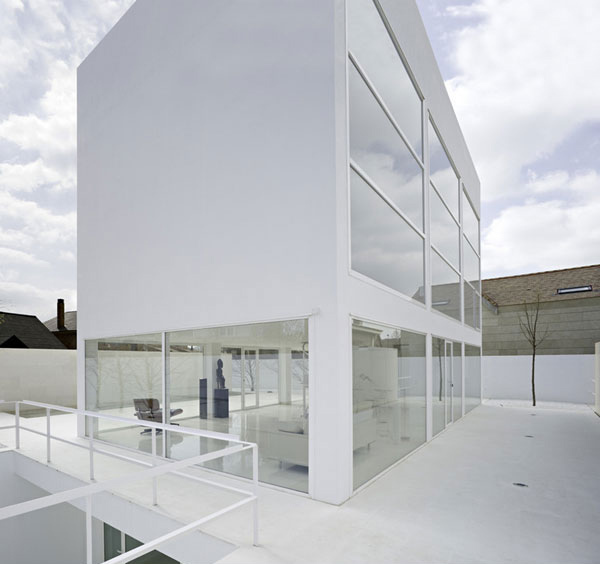 So let’s see the pictures of the different areas of this Moliner house below. By just looking at the sky, the poet will surely get his inspiration to scribe the words in his mind. 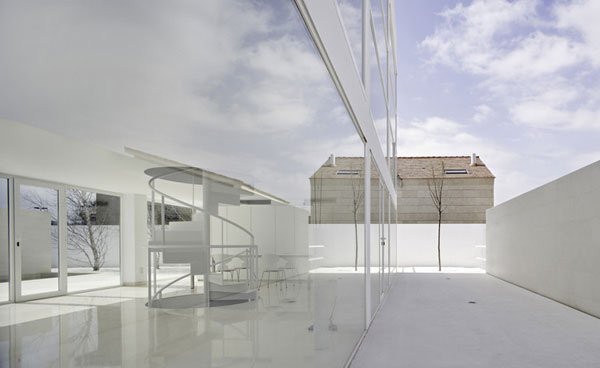 The living room is clearly seen from its glassed wall and doors. The fine lines and monotone palette of the building is seen here. This is the beautiful garden in the center where the poet can relax. The stairs here is going down to the basement where the owner may rest and sleep. The neatness and smoothness of the walls and floors are well-presented here. Even the furniture is painted with white that jives with the simple concept of the house. Everything is put into designated places, so the poet can easily imagine what he can write. 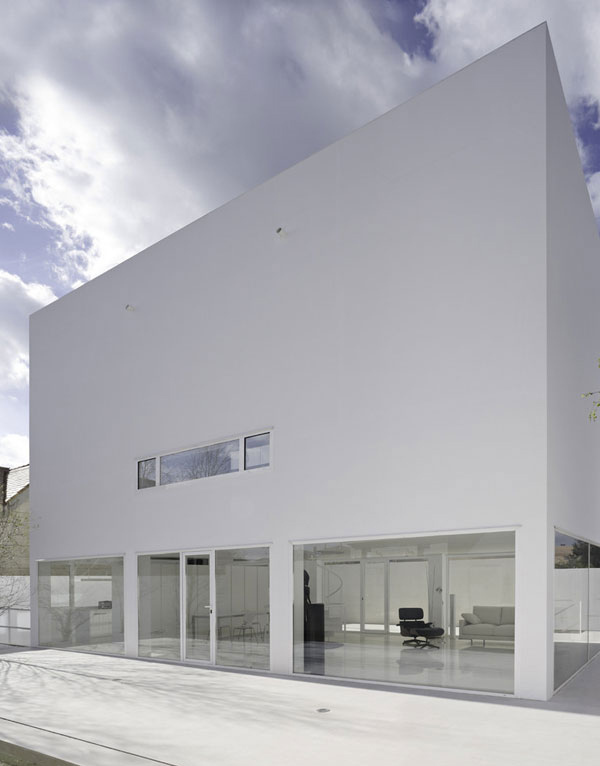 This is the extraordinary exterior part of the Moliner house. This is the Sketch Plan of the house. 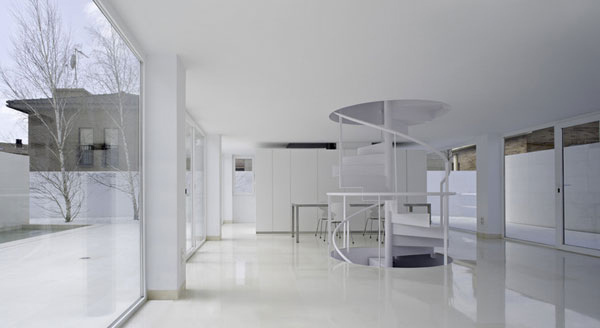 The architects also create an interior world. They dug into the ground just to plant leafy trees. It seems like a box floating in the center surrounded with translucent lights of the north. They presented three levels here, the highest level is for dreaming, the garden is for living and the deepest level is for sleeping. Then we can say that this is the ideal house for a poet. 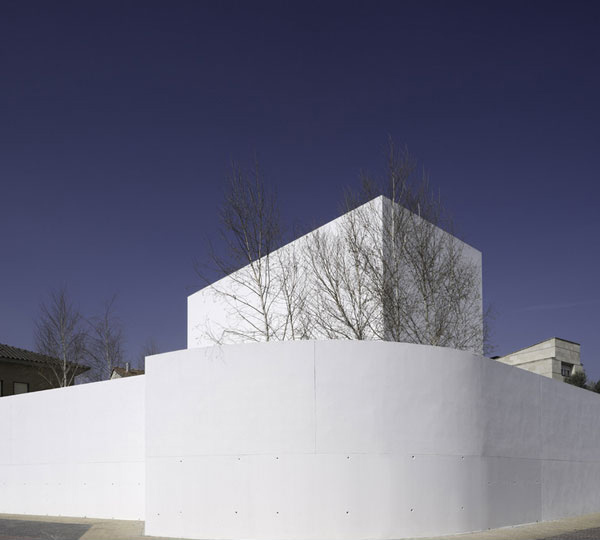 This minimalist Moliner House was designed by the Alberto Campo Baeza. Exclusively it is intended for the mood of the poet. The architects were able to invent a house design where the poet can find his inspiration to write and read his favorite book as well. Indeed for a lover of arts this home is truly a perfect place for dreaming, living and dying.